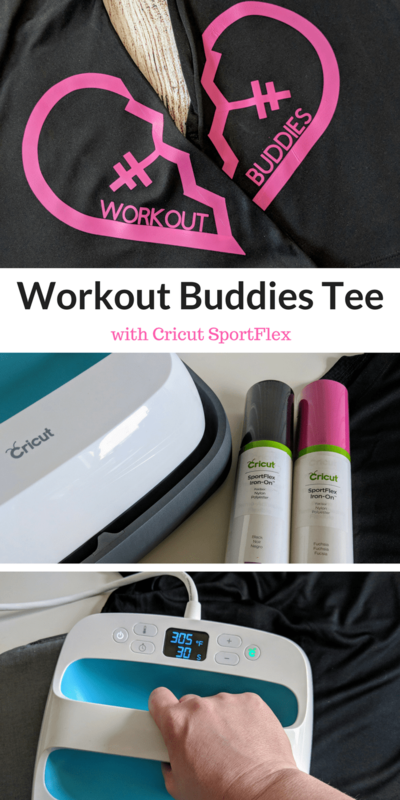 Customizing workout shirts and activewear has never been easier thanks to the new Cricut SportFlex Iron On! 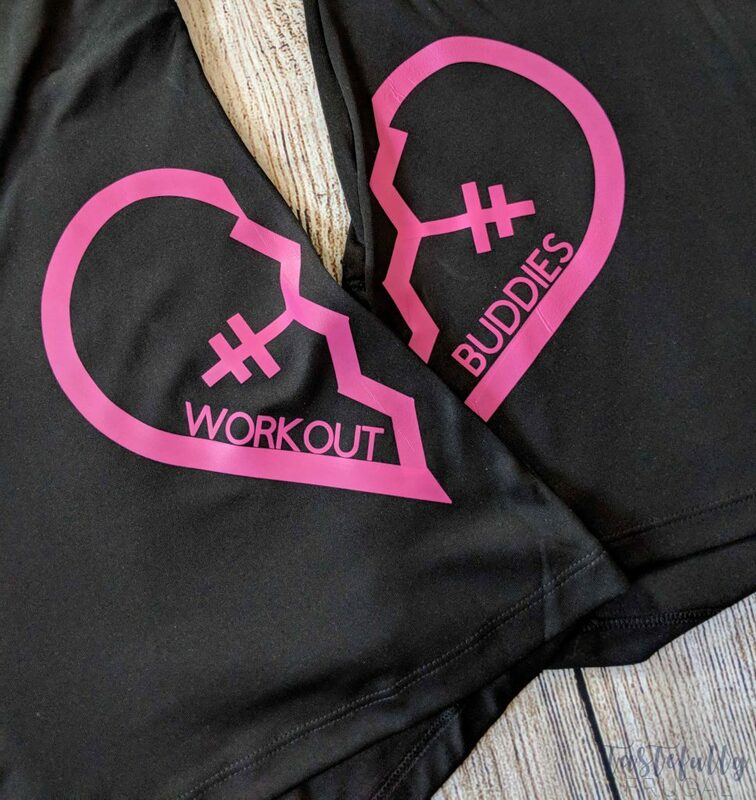 You can make these workout buddies tees for you and your bestie with the Cricut Maker and EasyPress. 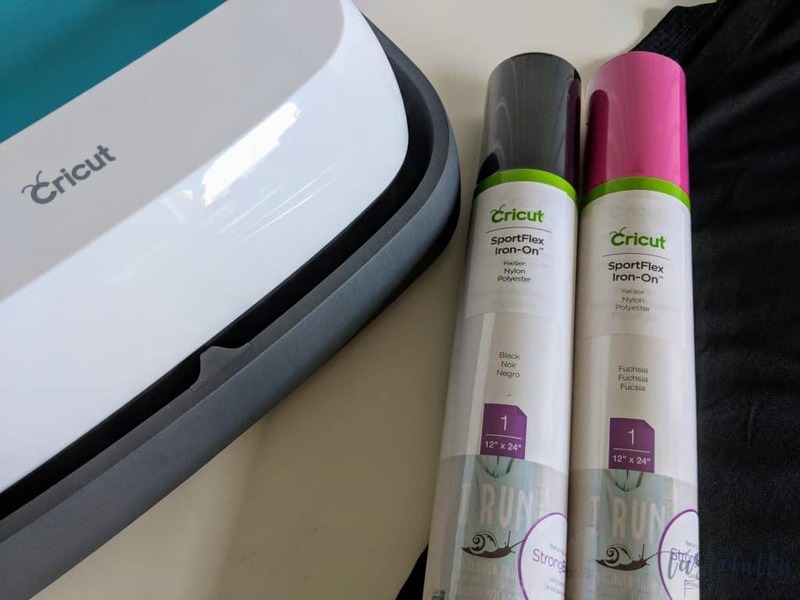 You guys I am SO excited to tell you about the newest Cricut Iron On – SportFlex Iron On! 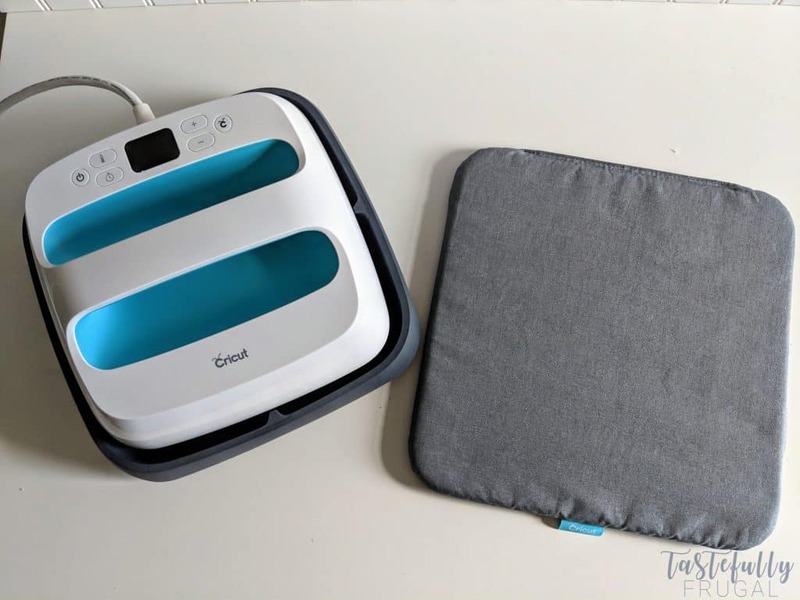 It’s a flexible, stretchy iron on that’s perfect for nylon and polyester fabrics (like workout tees, tanks and leggings)! It’s also super light weight – you can feel the difference when you take it off the roll! And when I say stretchy I mean STRETTCCHHYYY! You can see in this picture I can stretch it without any wrinkling or bending. 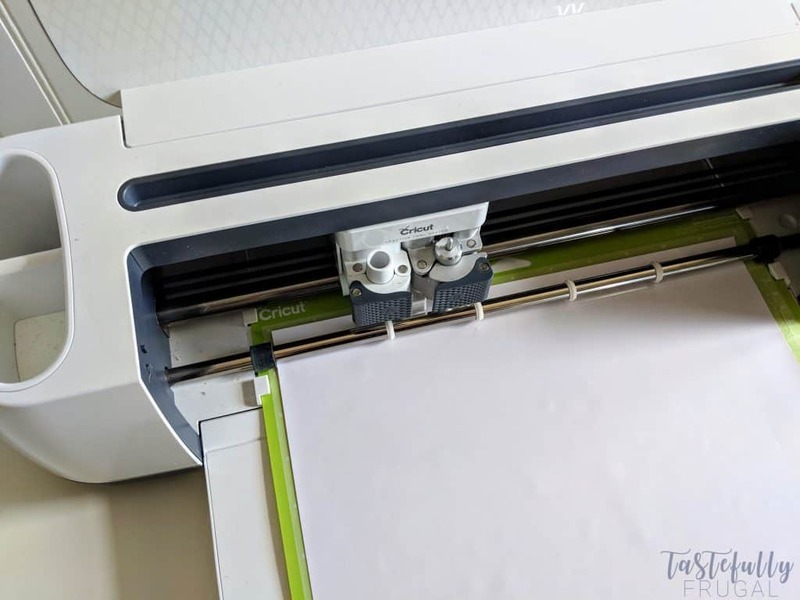 It also features Cricut’s new StrongBond Guarantee! This SportFlex Iron On is obviously great for activewear but it’s also great for shirts that need a little extra stretch, like maternity shirts or shirts for us ladies that have a bigger bust. I’m working on a series of shirts with references from my favorite chick flicks and this SportFlex is definitely a game changer with those shirts too! Along with the new SportFlex Iron On, I got to use the new EasyPress Mat when I made these shirts and it is a total game changer too! This 5 layer mat helps eliminate moisture, protects your surface (countertop, tabletop, etc.) from heat damage and makes sure the heat from your EasyPress goes directly on to your shirt. 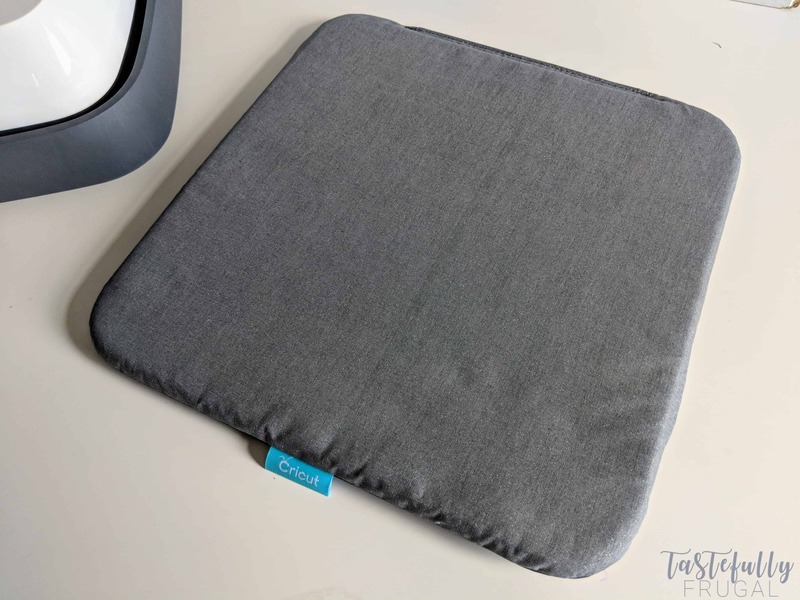 You place the mat under your shirt (or whatever you’re pressing) and you’re good to go. 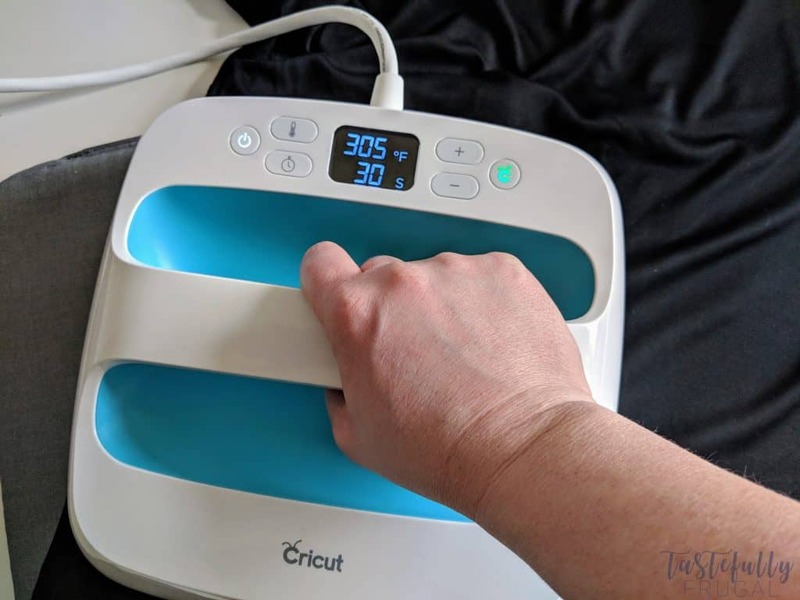 Since I’ve been using the EasyPress Mat, I’ve noticed I don’t have to put as much pressure on my EasyPress and I’m getting the same, if not better results. Before I would do a final press for 5-10 seconds after I peeled the backing off and now I don’t have to do that. Now that I’ve told you all about these new products let me show you how to make these fun shirts! Send to mat. Make sure to mirror your image. On the next screen select Choose Material and select SportFlex Iron On. Send to your machine – you’ll want to make sure the white side is facing up on the mat. Use your paper cutter to cut the heart and dumbell in half (you’ll want one half for each shirt). FOR SPORTFLEX IRON ON, YOU’LL WANT TO HEAT YOUR EASYPRESS TO 305°F AND PRESS FOR 30 SECONDS ON THE FRONT AND 15 SECONDS ON THE BACK. IT IS ALSO A COLD PEEL. THAT MEANS YOU’LL WANT TO WAIT ABOUT 45 SECONDS AFTER YOUR PRESS YOUR SHIRT TO PEEL THE PLASTIC BACKING OFF. Line up half of the heart where you want it and press for 30 seconds. Since I did multiple presses I only did the back press on the last layer. Remove plastic backing after 45 seconds. Next you’ll want to line up your broken heart and press it for 30 seconds. Remove plastic backing after 45 seconds. Lastly you’ll add your word and the dumbbell and press for 30 seconds. Then flip the shirt over and press on the back for 15 seconds. Remove plastic backing after 45 seconds. Aren’t these shirts so fun?! Whose your workout bestie? Can you see the two of you wearing these at the gym?! Love the idea of these shirts coming together. A workout buddy is a true friend. It’s like a bff necklace, but in a t-shirt! I love this idea so much! This is really cute. I bet my best friend would love this since we’re actually workout buddies too. Will see if we can grab one of these.